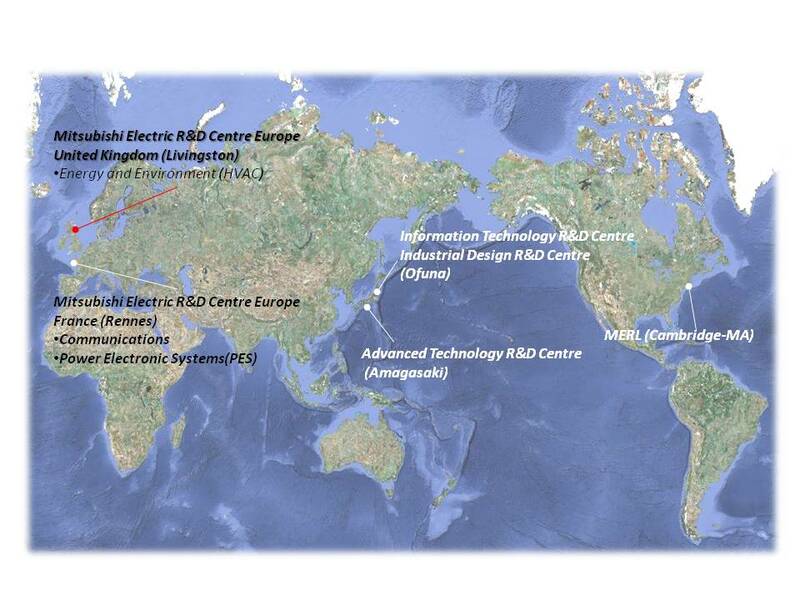 Mitsubishi Electric has research centres in Japan and overseas. When it comes to the new technologies from Mitsubishi Electric that will meet the needs of future, it's our research centres that are continually looking ahead and fully supporting the company's R&D and business activities. MERCE is the European arm of Mitsubishi Electric Corporation (MELCO) with one entity located in Rennes (France) and one entity located in Livingston (UK).